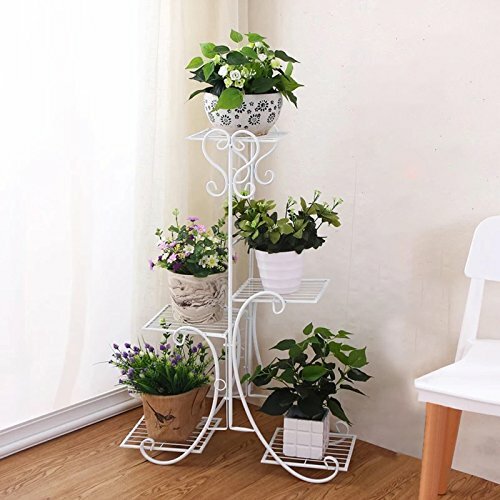 Suitable for both indoor and outdoor, a great decoration of flower shops, home, garden, balcony, patio, etc. Ideal for plant pots and flower vases, a nice gift for your friends or family. Warm Tips: The plant/vegetation and flower pots are not include. Solofish Guarantee: If you feel dissatisfied, it is no doubt that, we will offer you a 100% money back guarantee! GrayBunny GB-6878B1 Victorian Wall Hook, 14 Inch, Black, For Bird Feeders, Planters, Lanterns, Wind Chimes, As Wall Brackets and More!